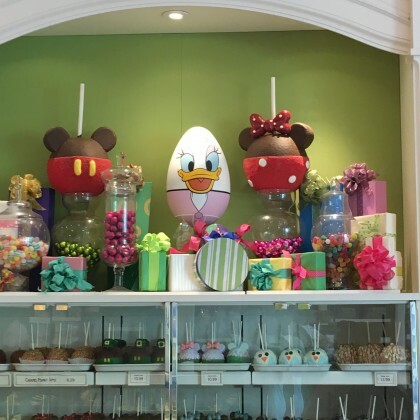 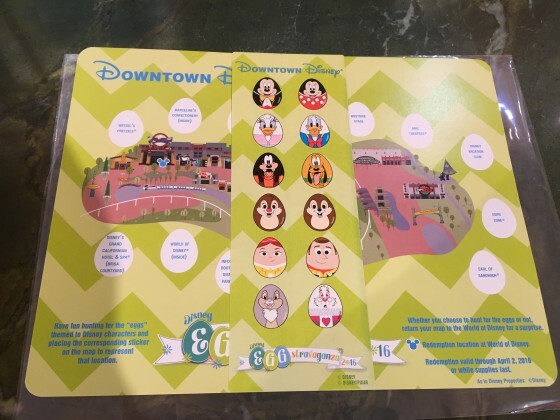 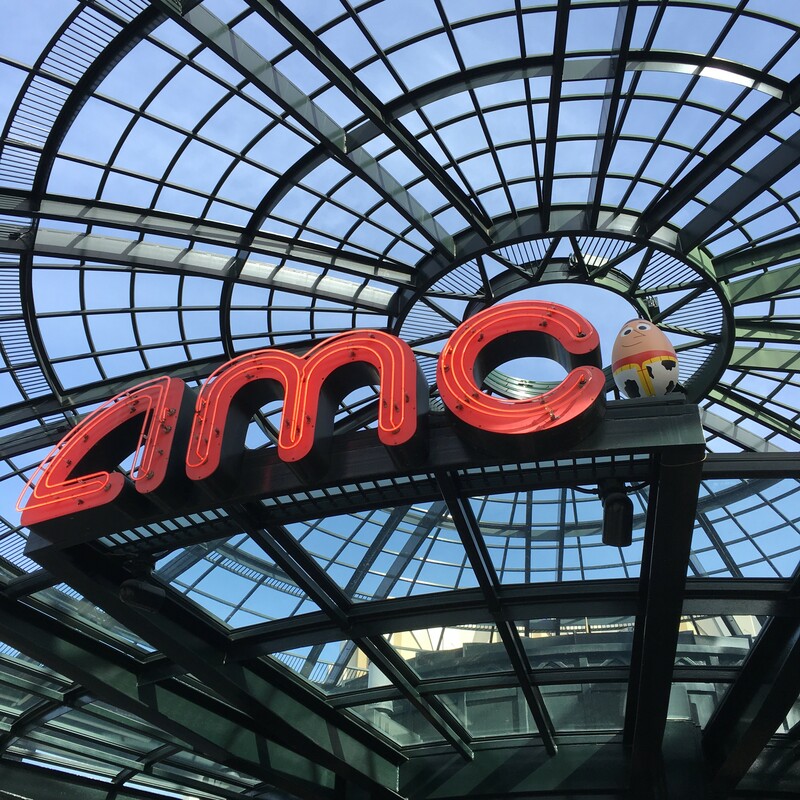 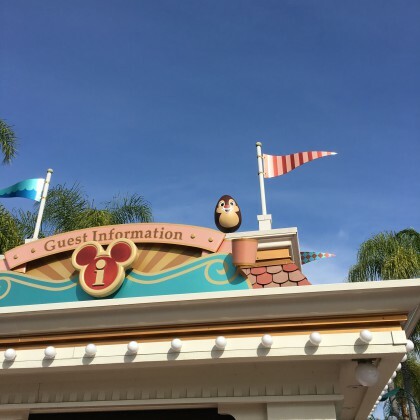 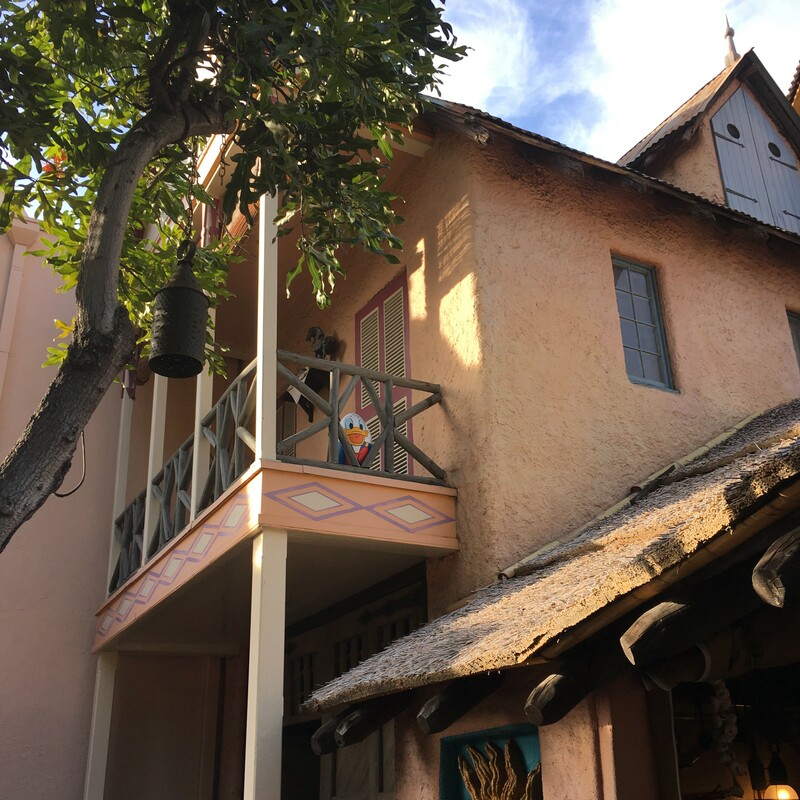 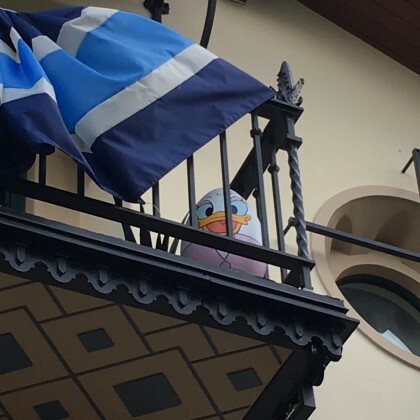 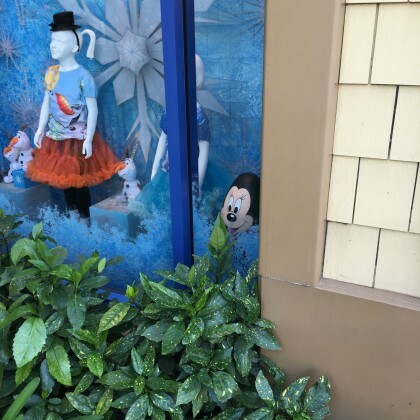 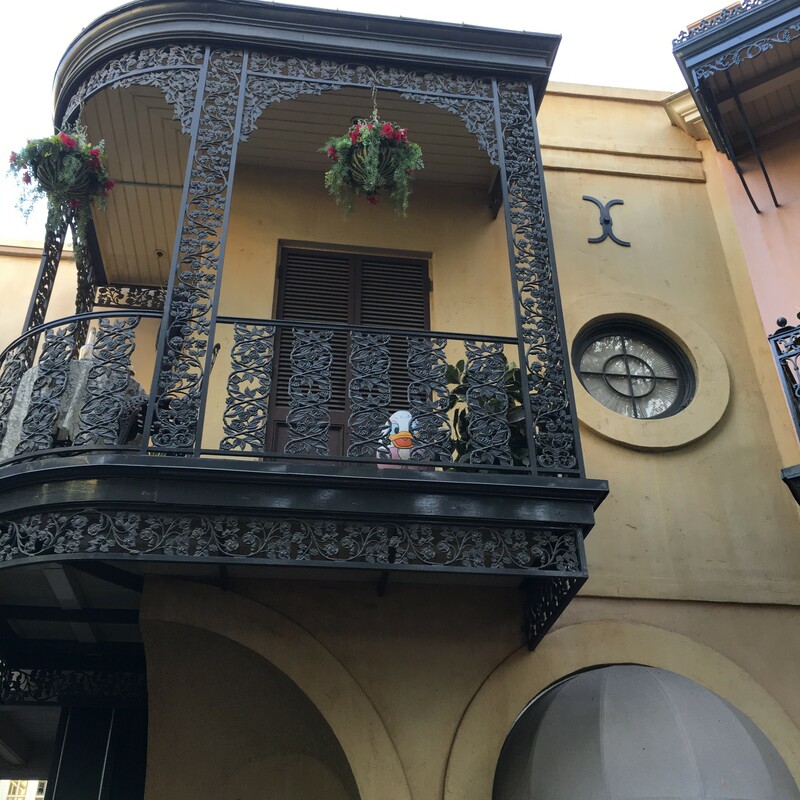 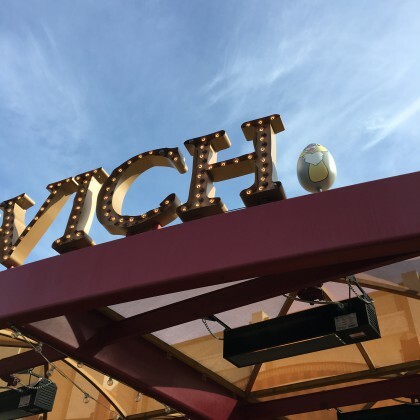 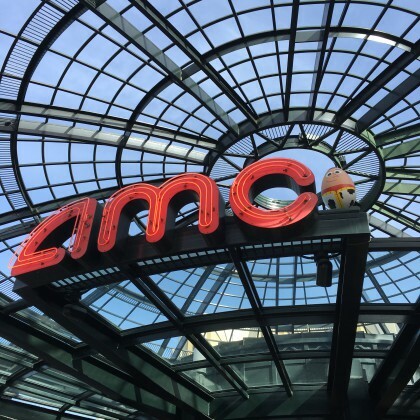 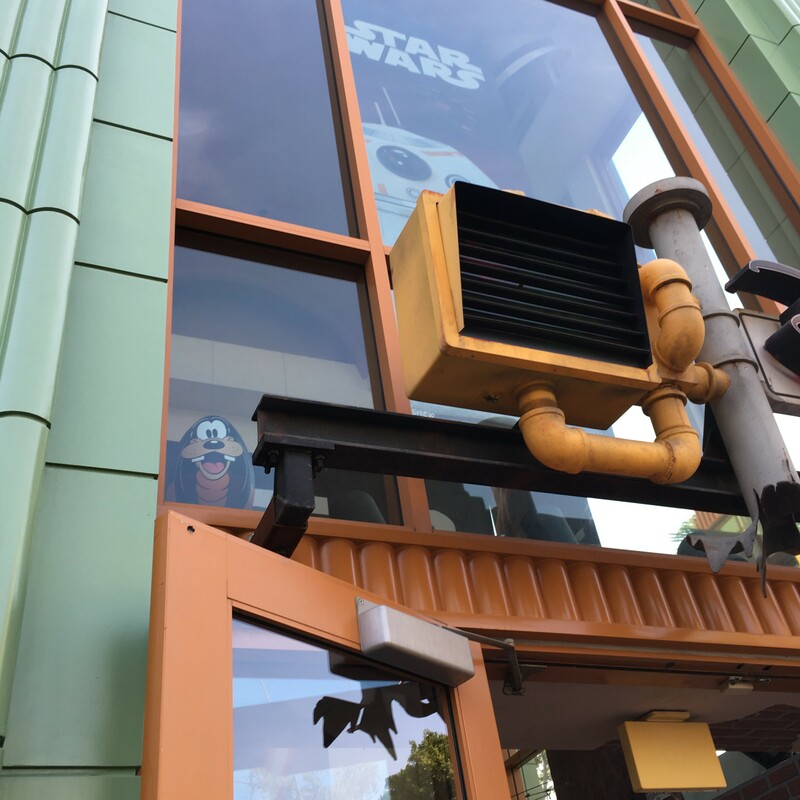 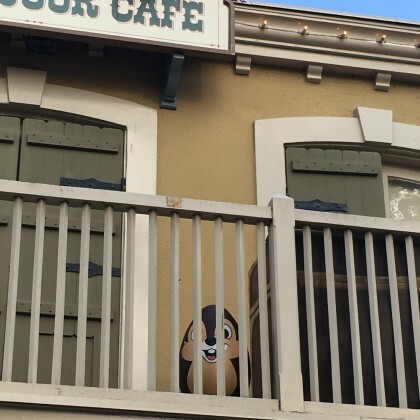 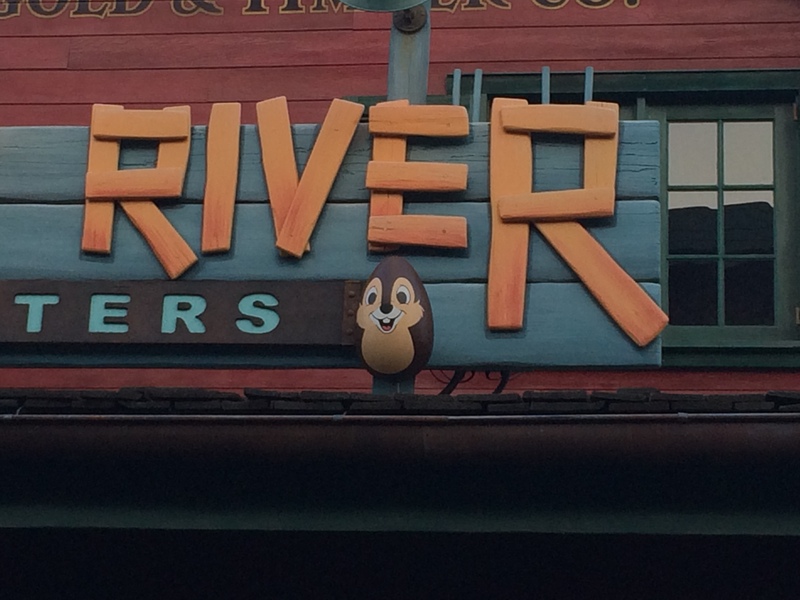 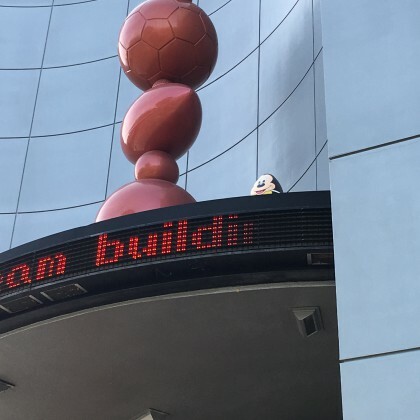 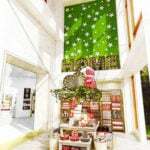 Not only has the Disney Eggstravaganza returned to Disneyland, Disney California Adventure and Epcot but this year Downtown Disney has also been added to the fun! 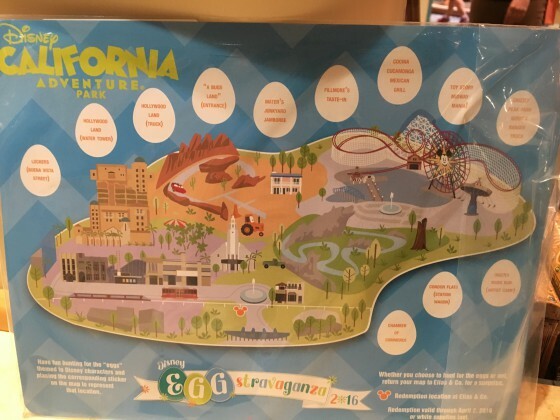 as reminder, maps are $5.95 (plus tax) and there are no discounts. You can purchase maps at various locations throughout the Parks. Each in Park location is Park specific. 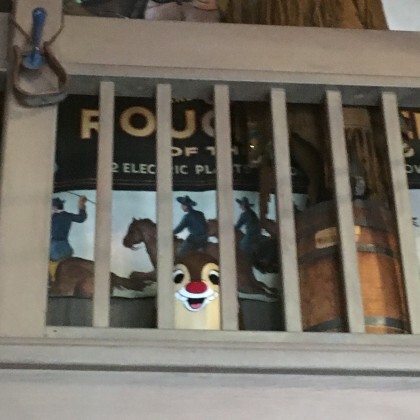 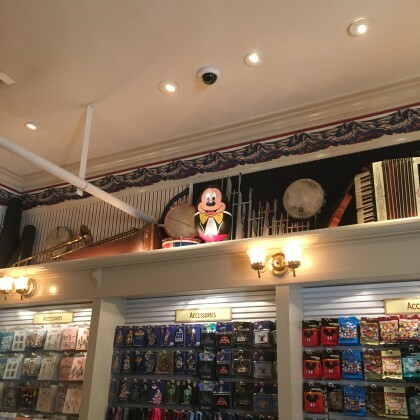 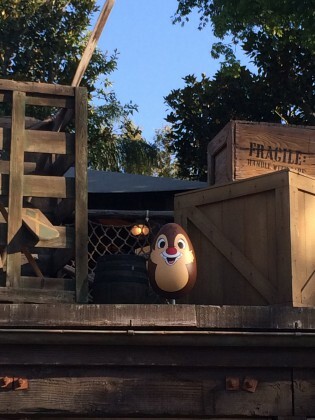 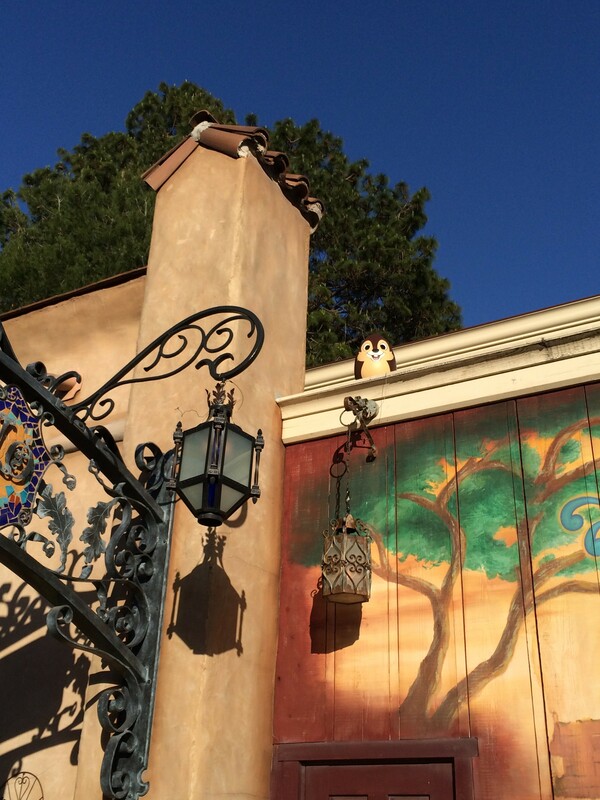 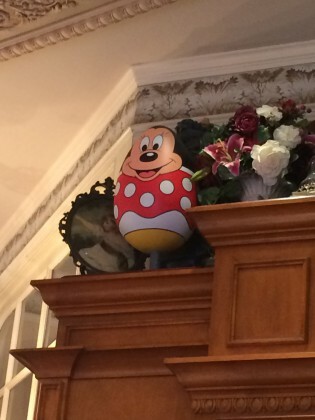 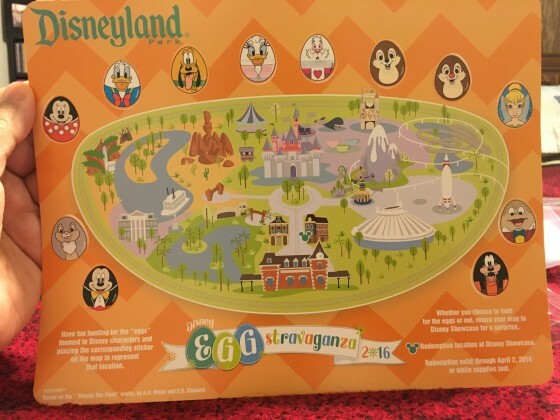 For example, if you buy a map at Disneyland, it’s for the Disneyland hunt. 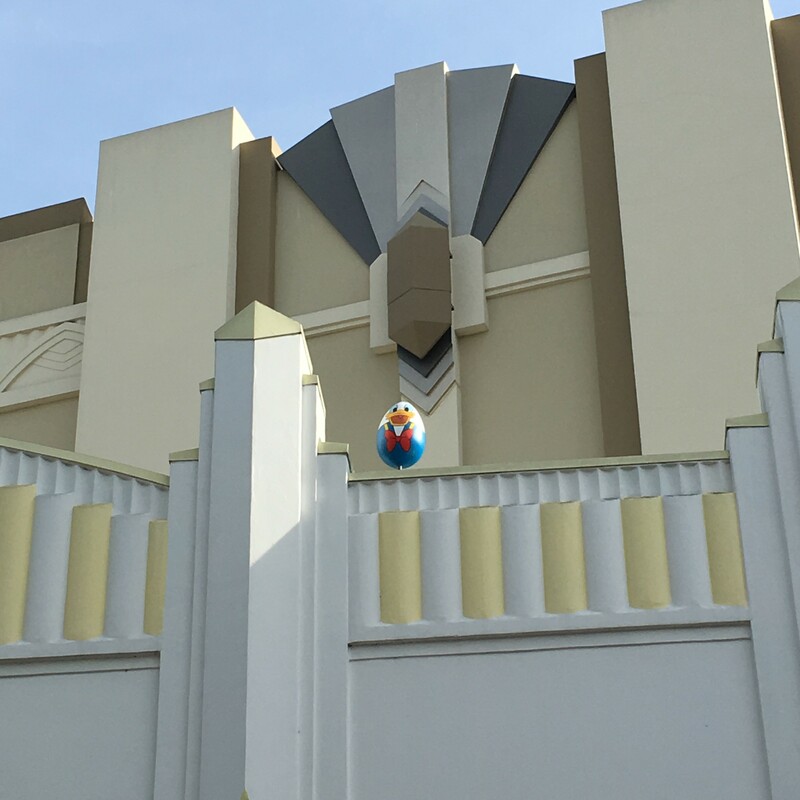 As far as the Eggstravaganza goes, it’s definitely fun to see guests of all ages take part in this. We come together when we get “stuck” at a certain location, and that’s great. 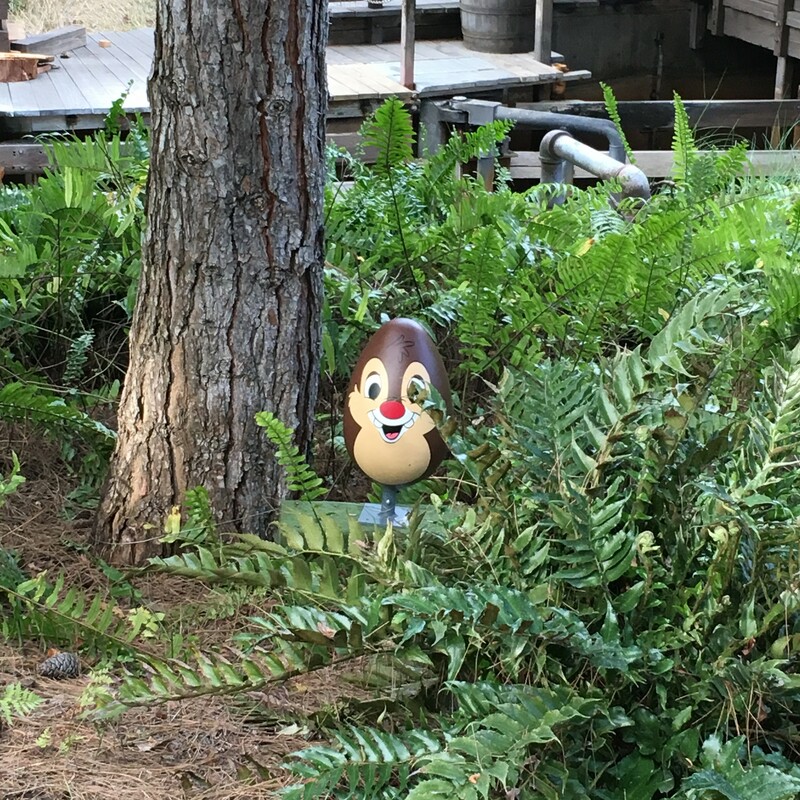 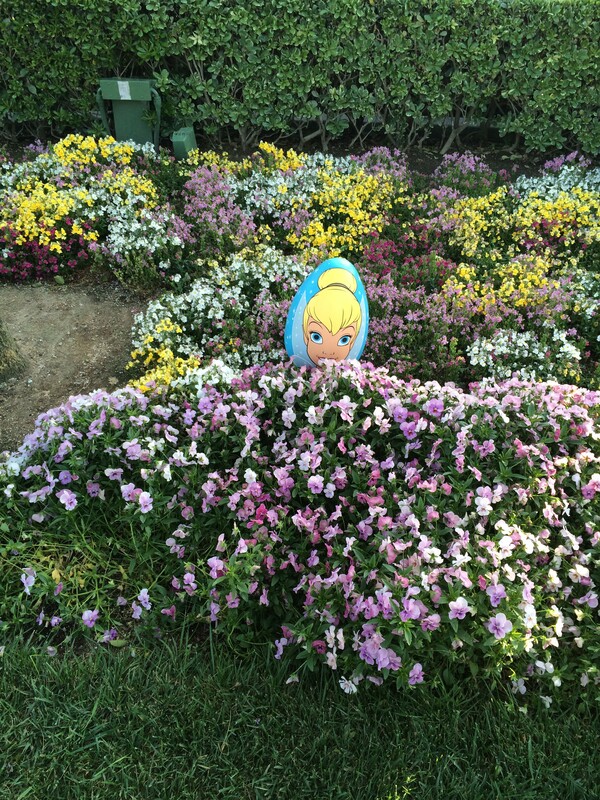 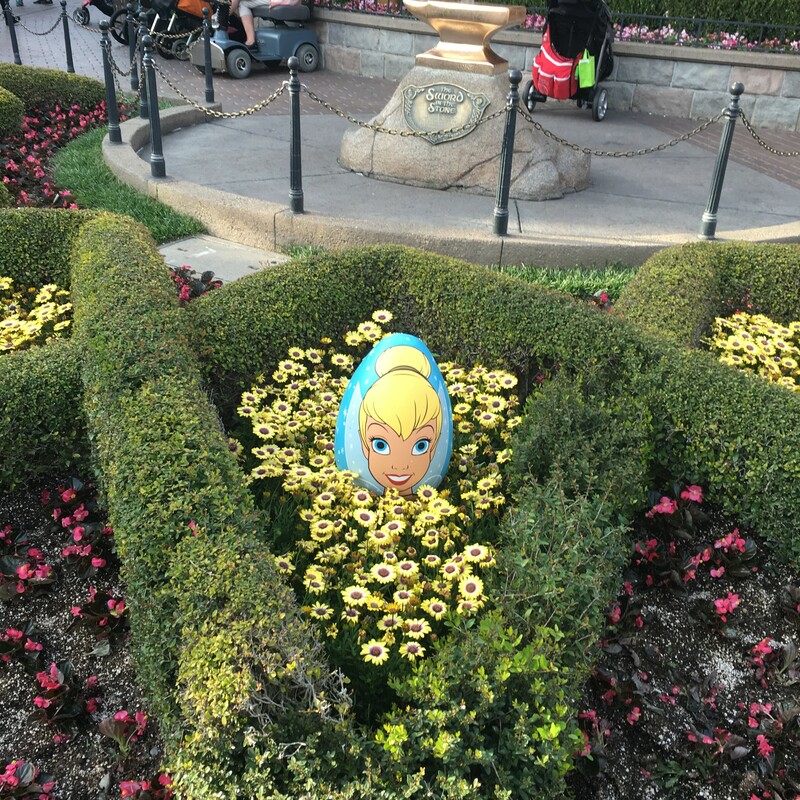 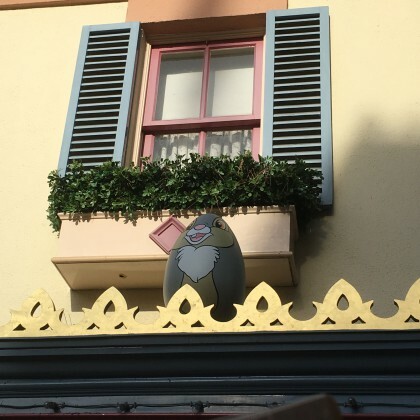 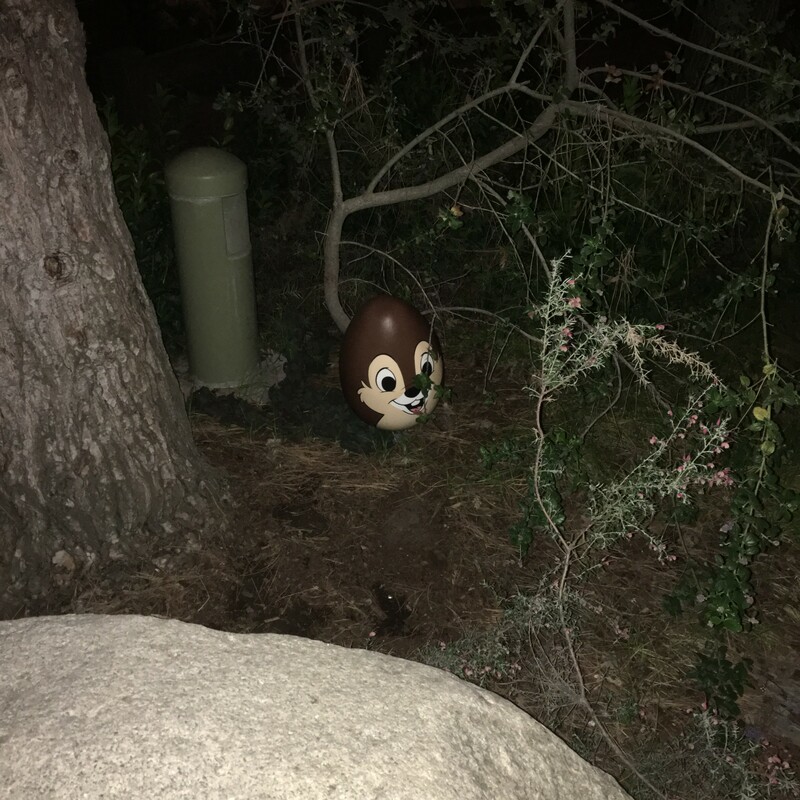 The Disneyland side was fairly easy to finish as the eggs were almost immediately spotted once you were in that specific location. 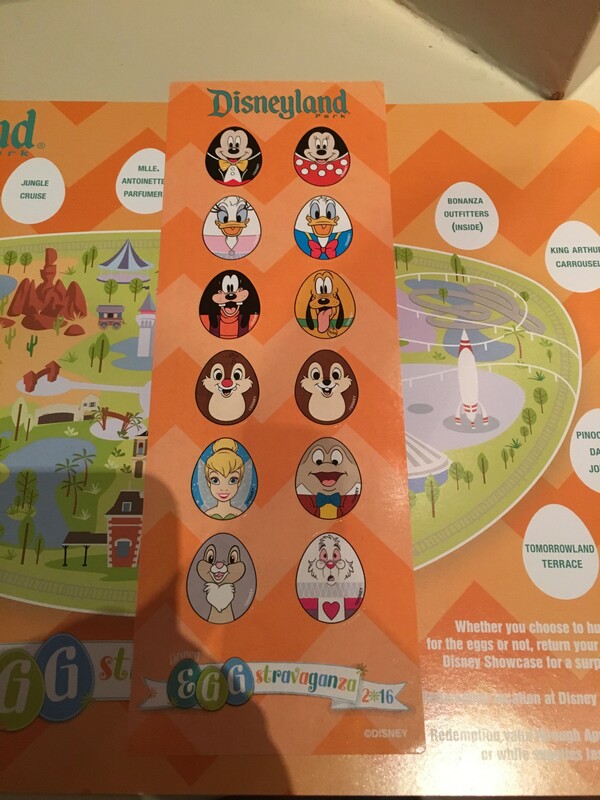 The DCA side was a little more difficult. 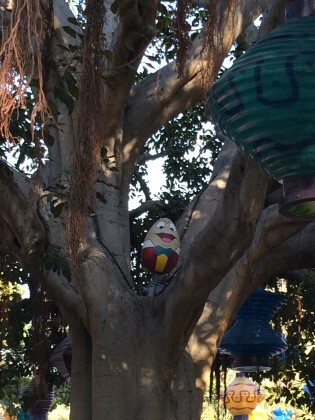 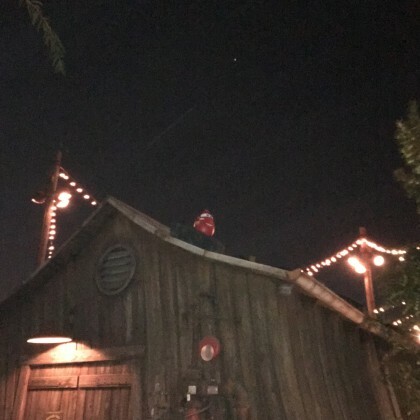 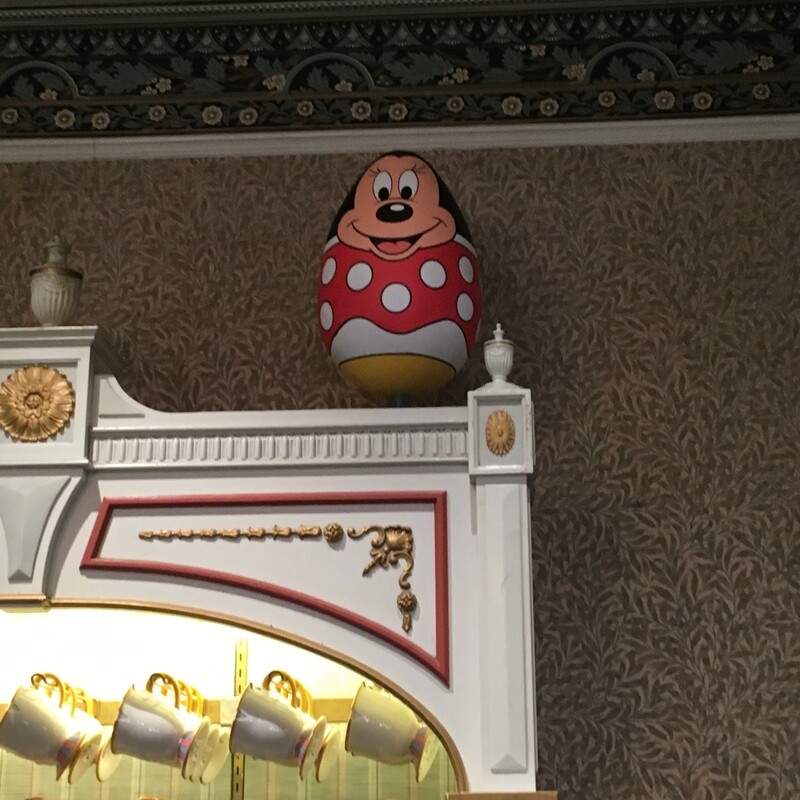 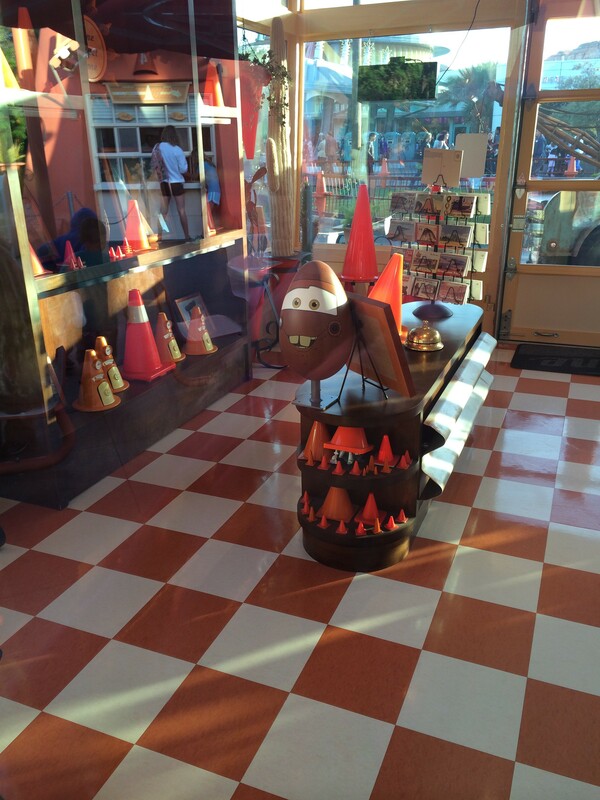 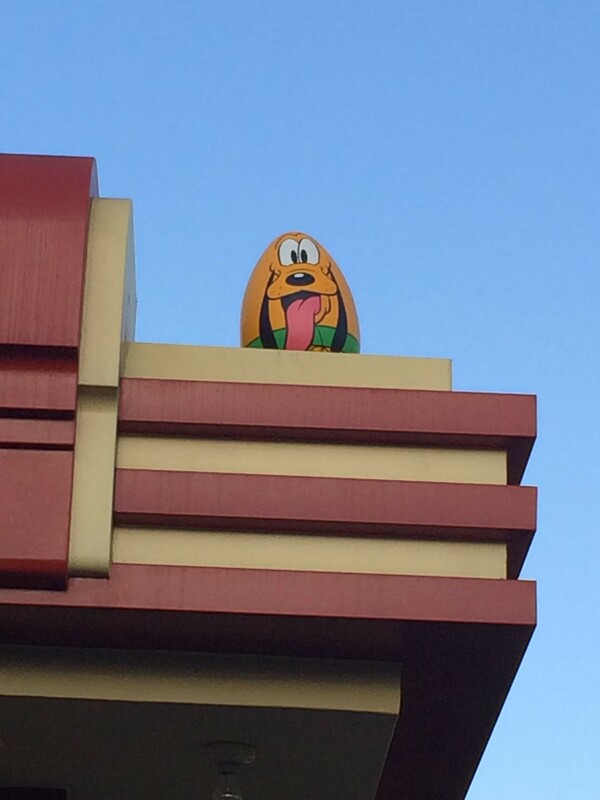 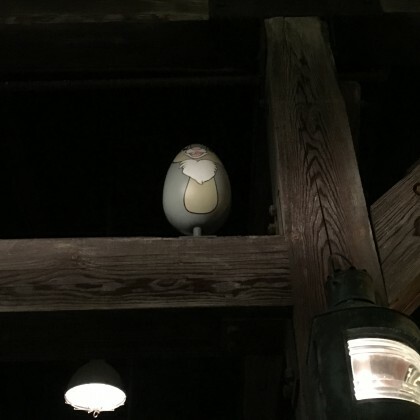 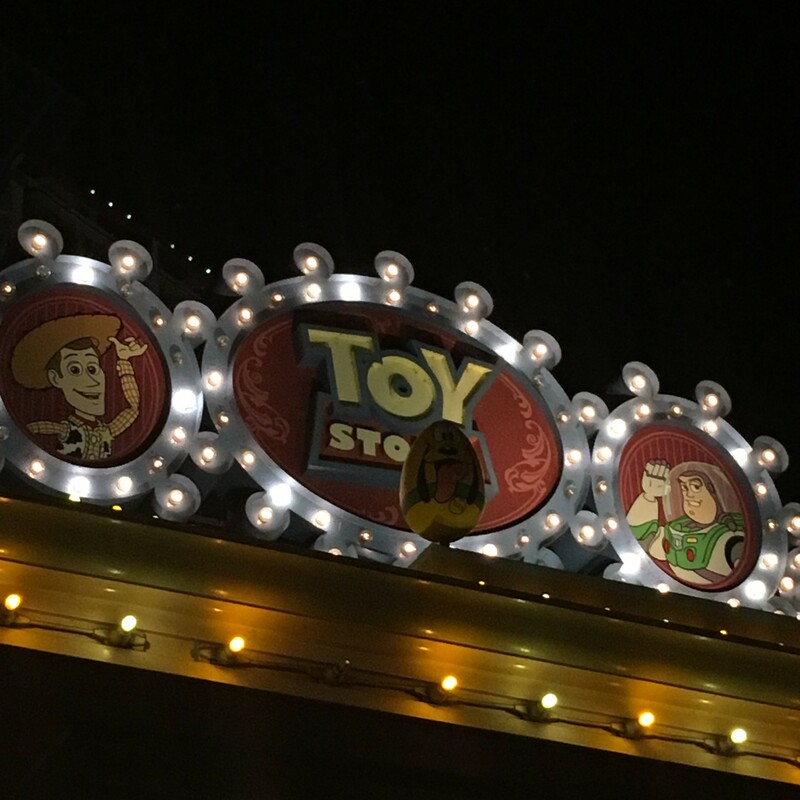 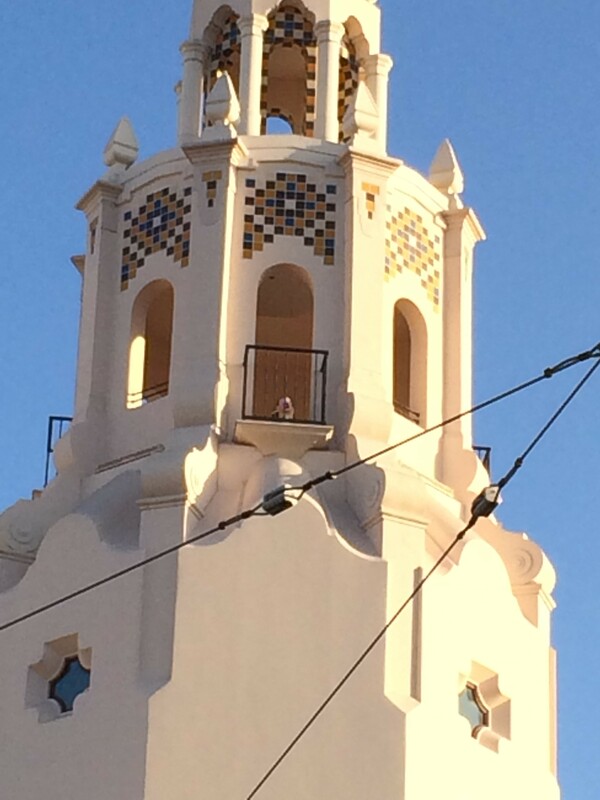 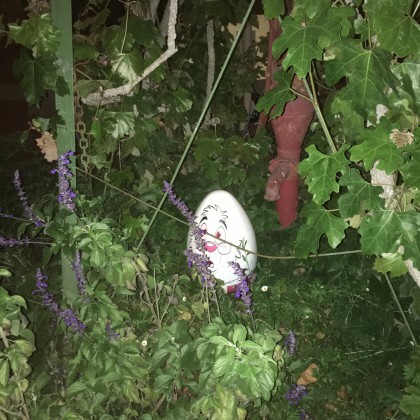 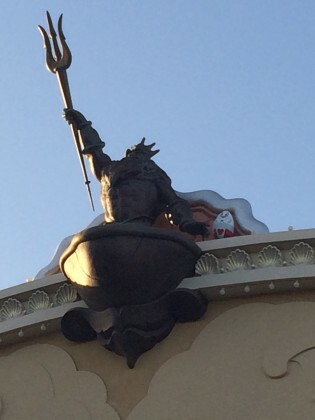 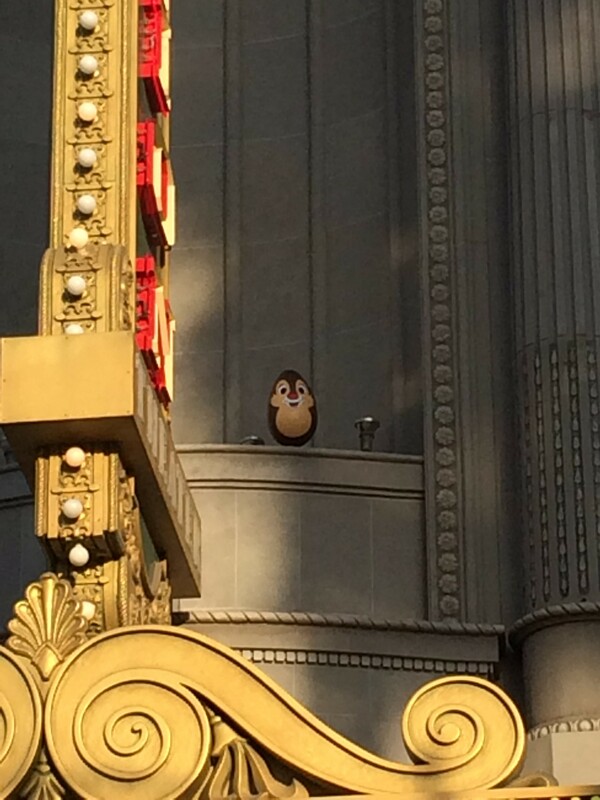 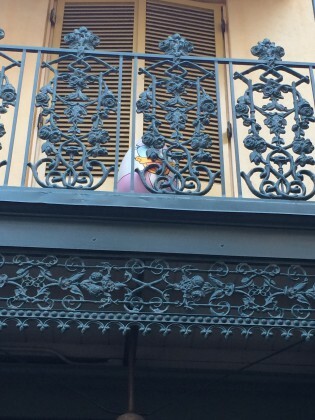 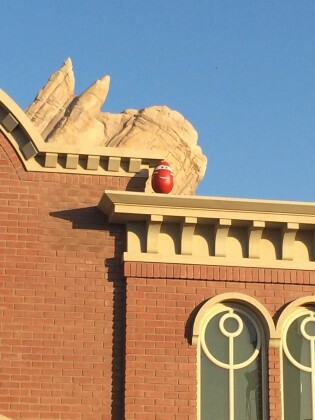 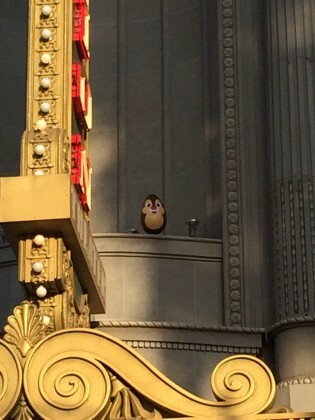 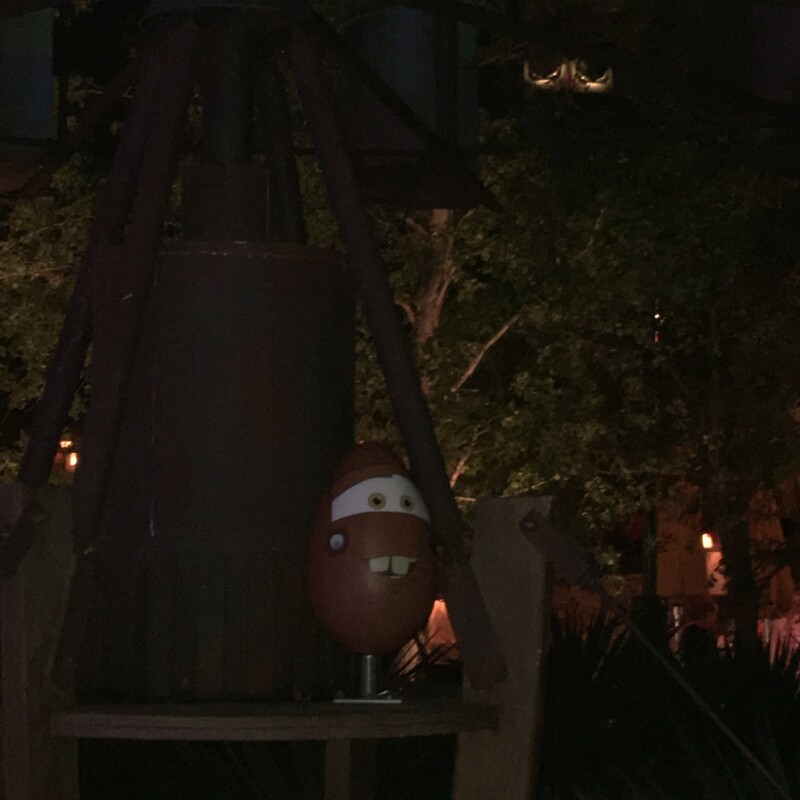 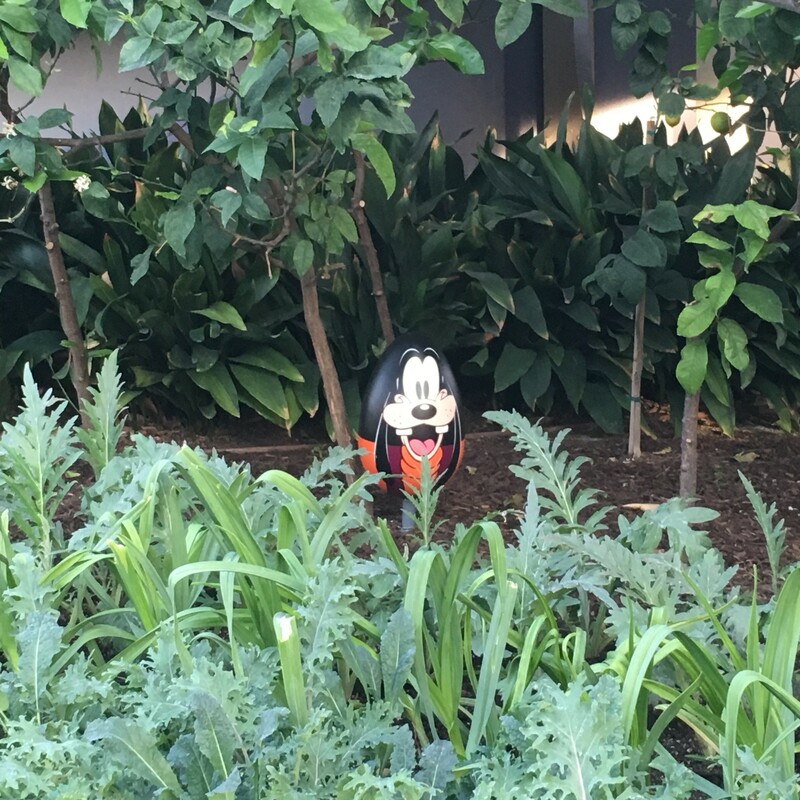 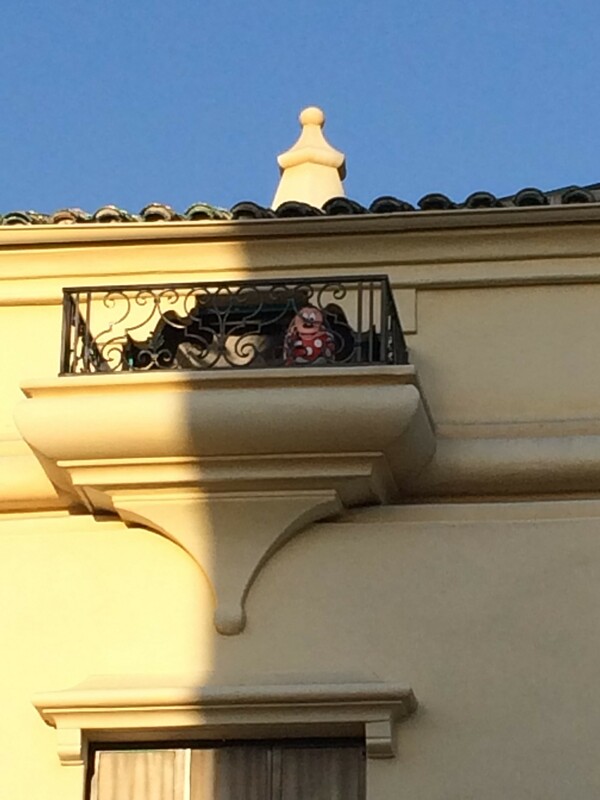 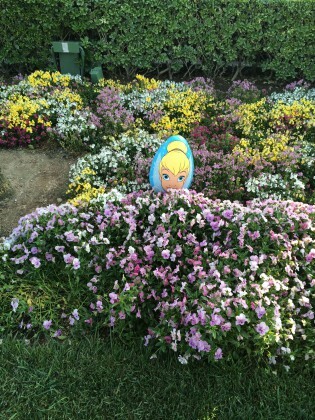 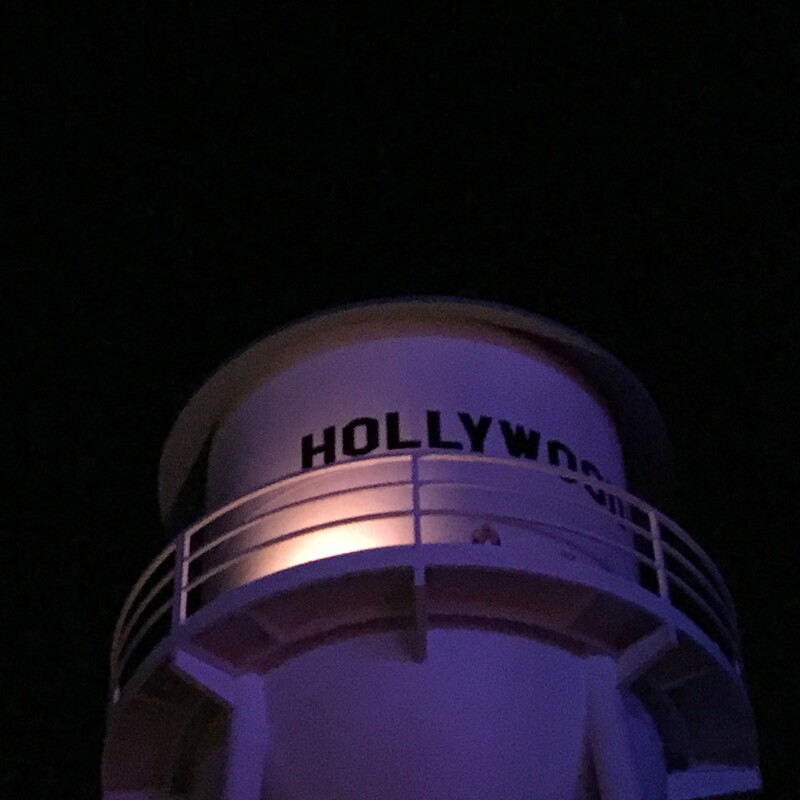 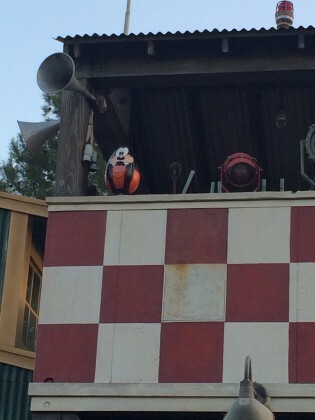 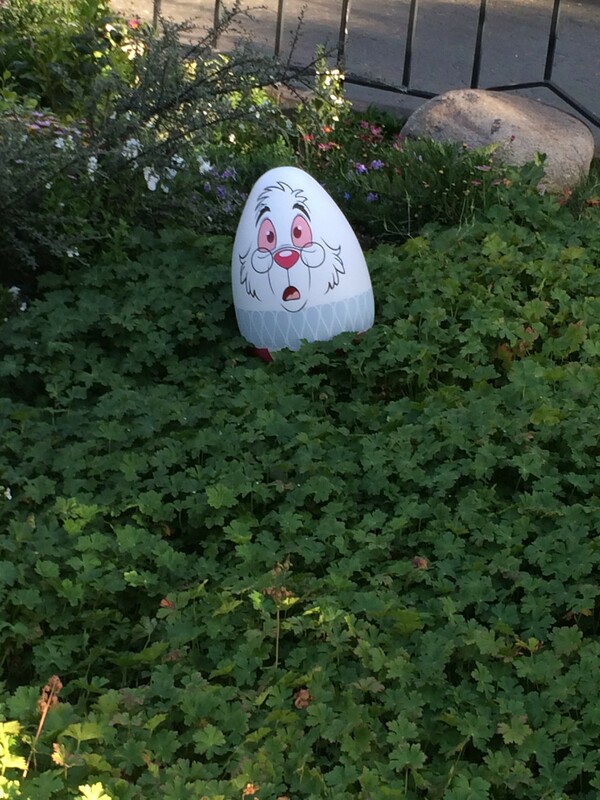 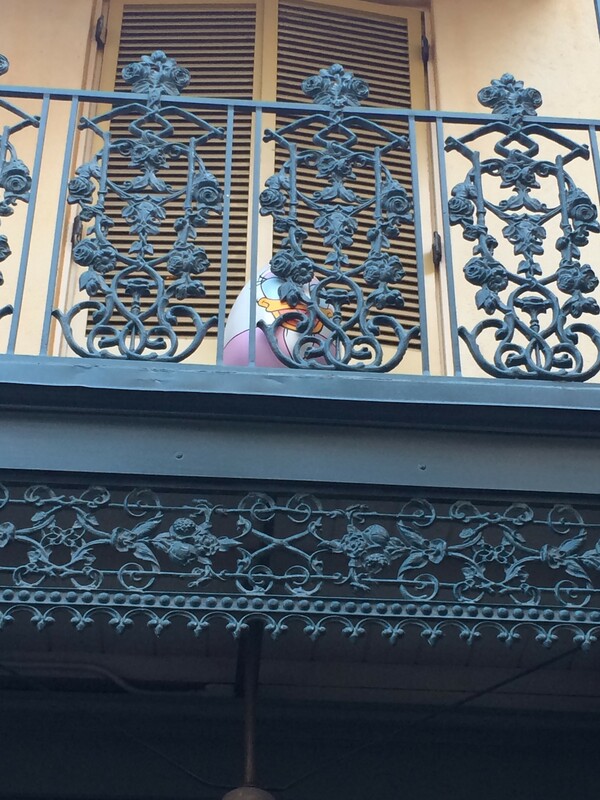 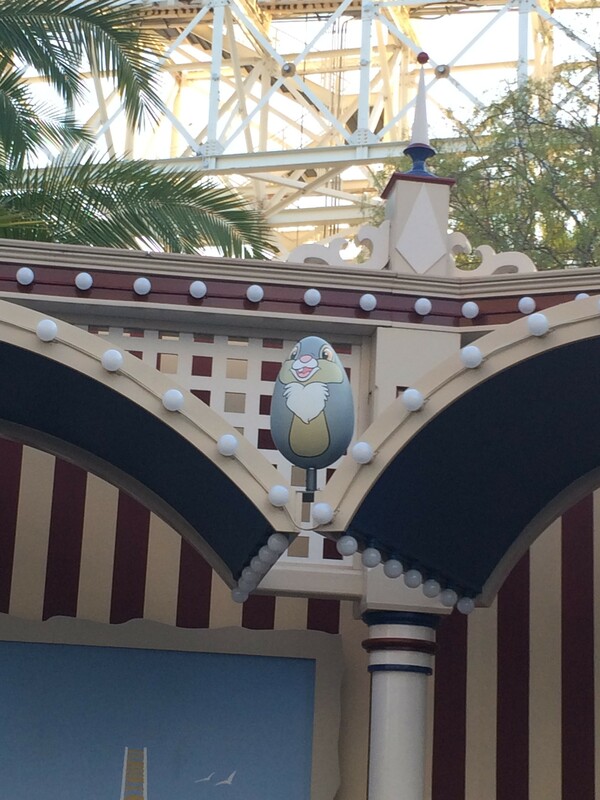 Then again, I searched for the DCA eggs at night, so that may have been the issue. 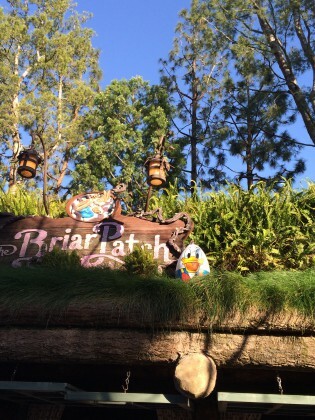 But either way, it was fun! 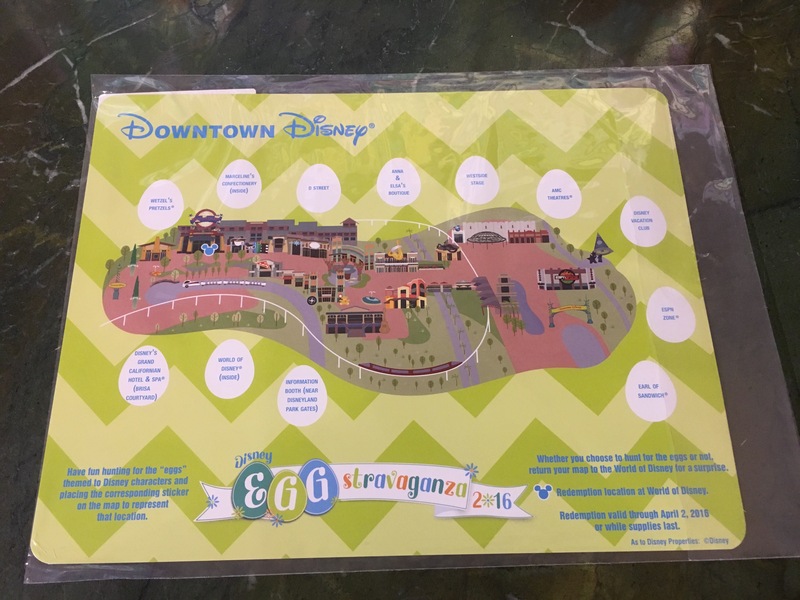 I’m also happy that Downtown Disney was added to the mix. 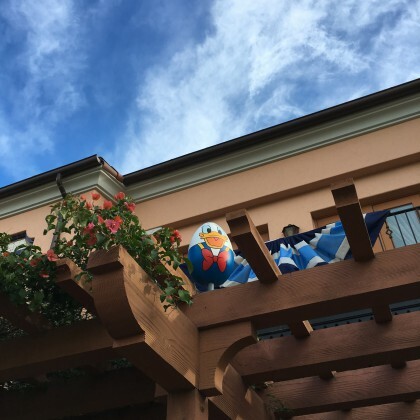 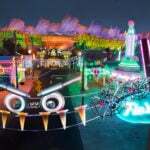 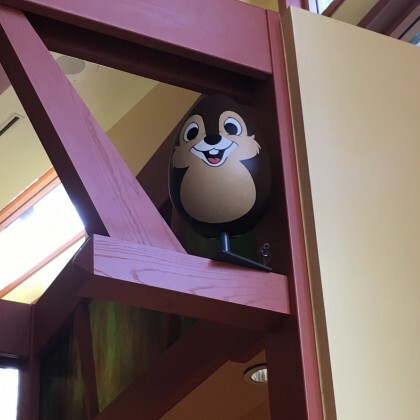 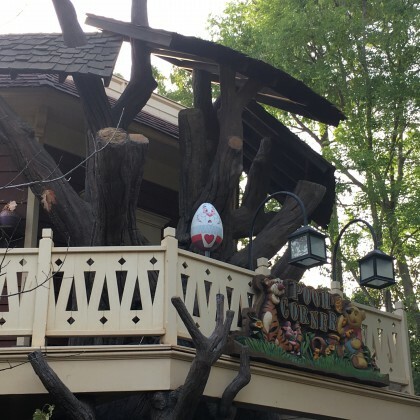 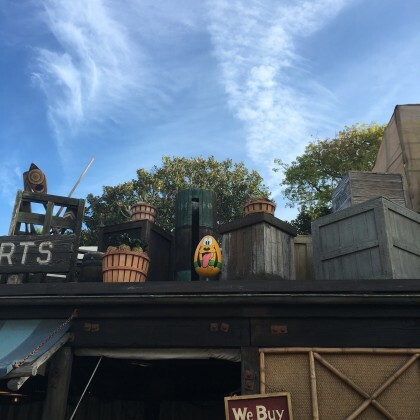 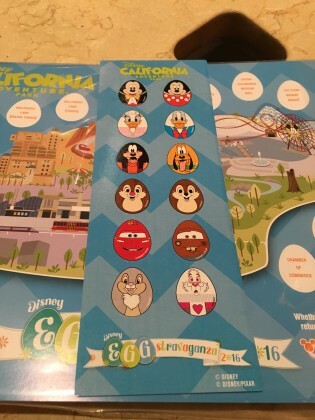 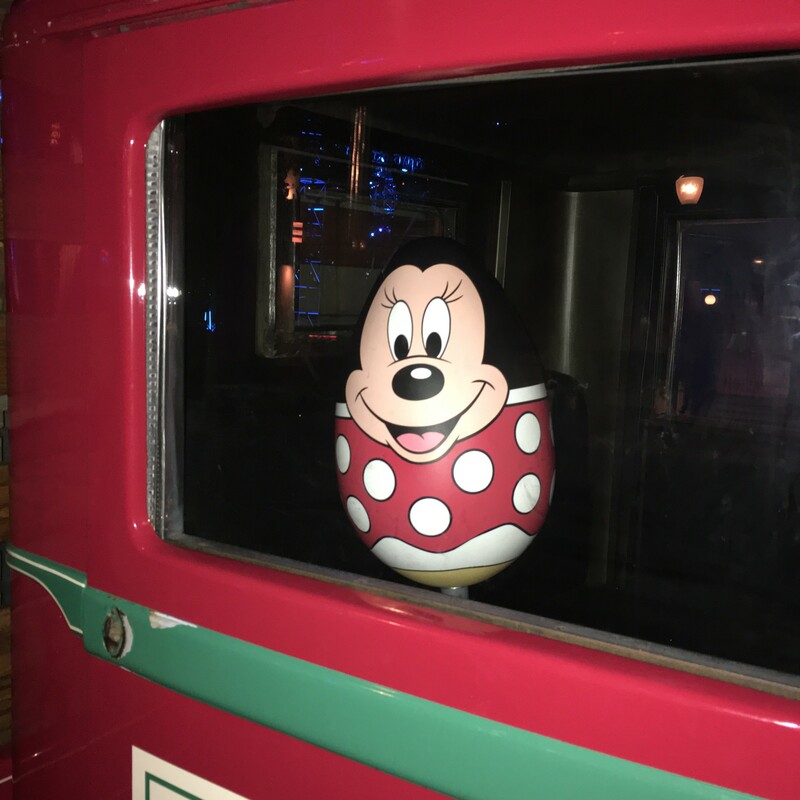 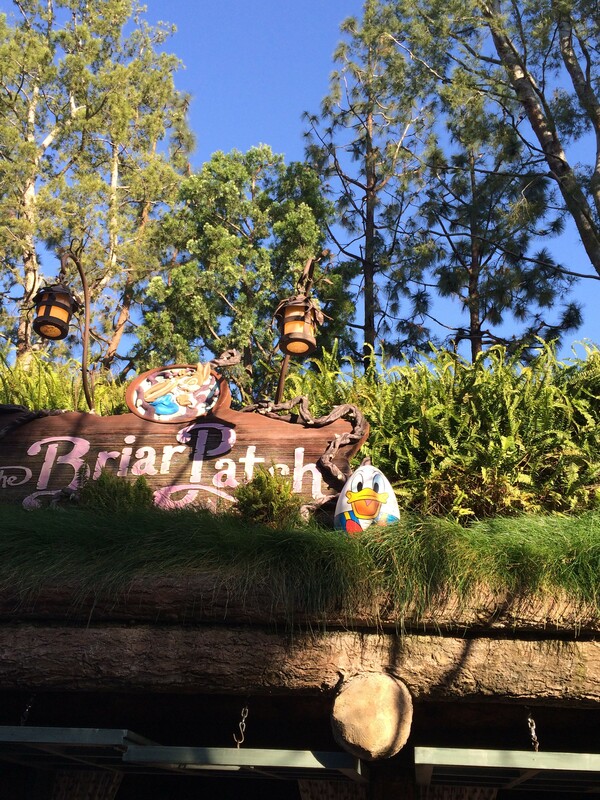 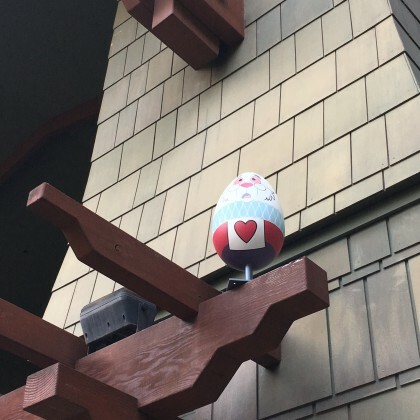 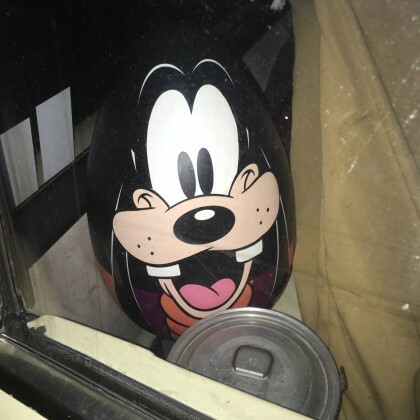 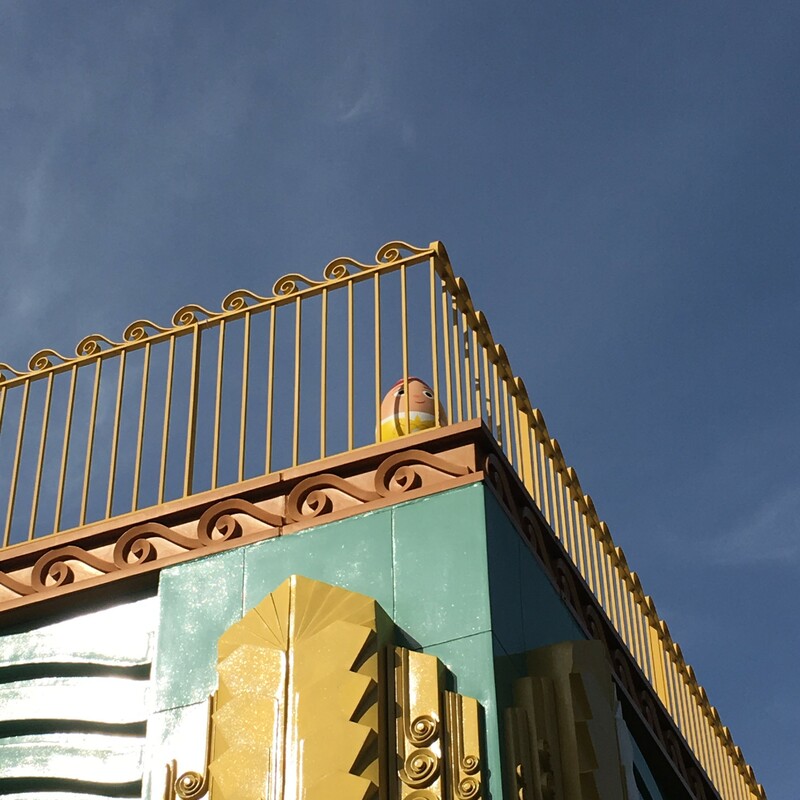 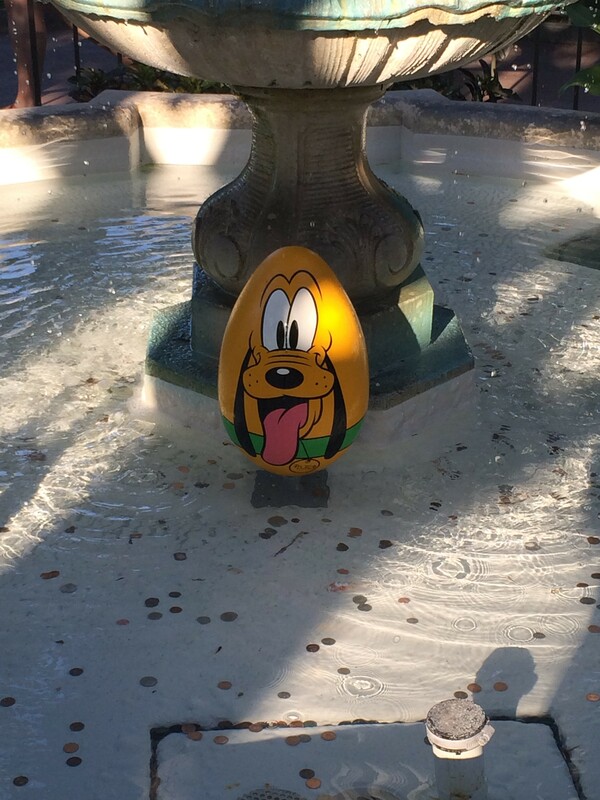 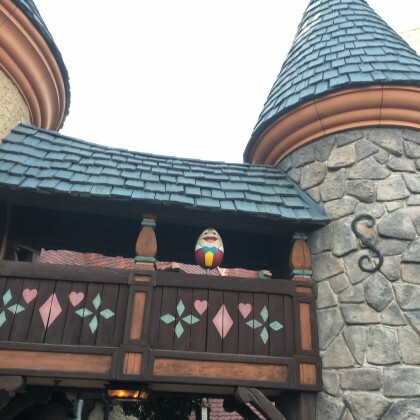 It gives those who would like to take part in the Eggstravaganza a chance to join the fun, especially if they do not have an Annual Pass, Park ticket, or are just visiting the area for a few hours. 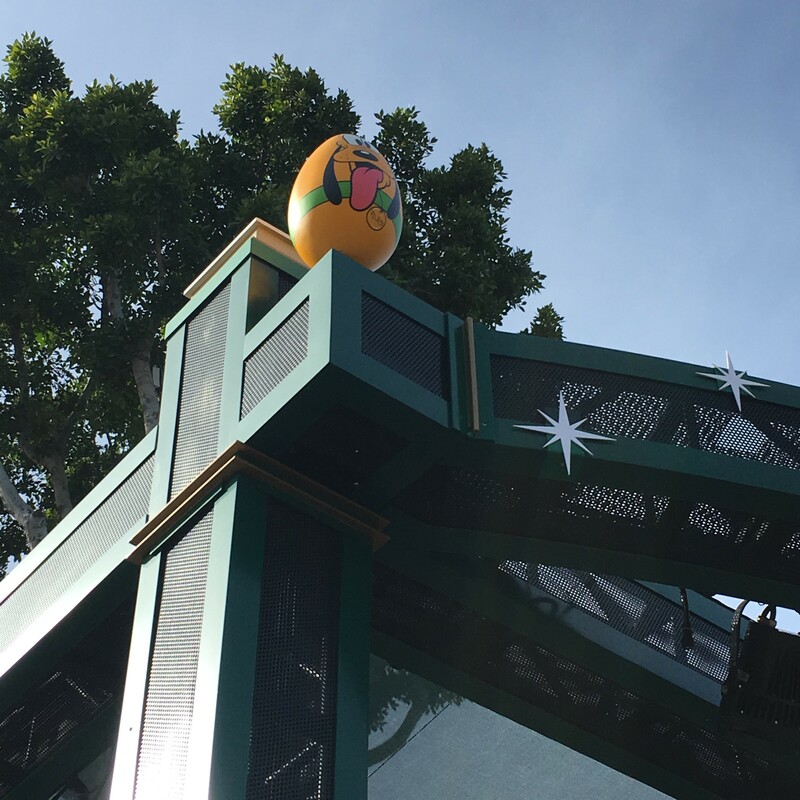 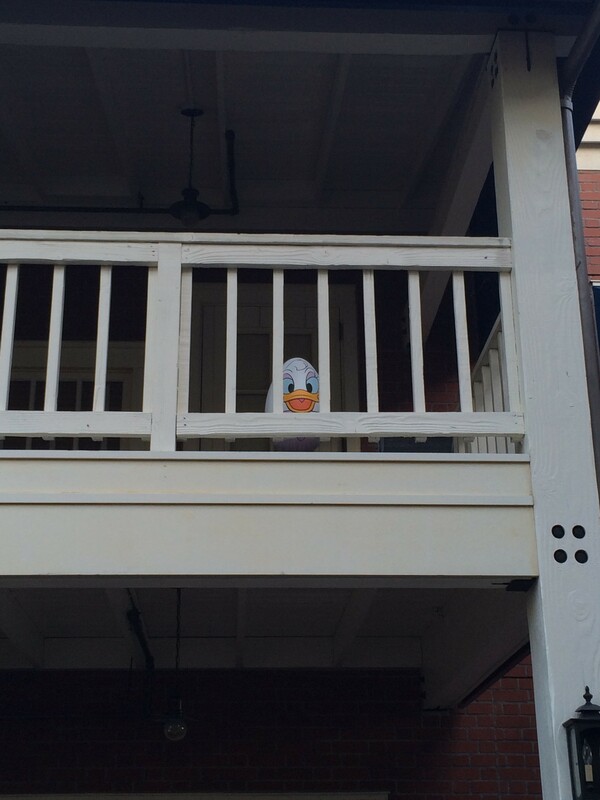 And the Downtown Disney Eggstravaganza was super easy — I finished it fairly quickly. 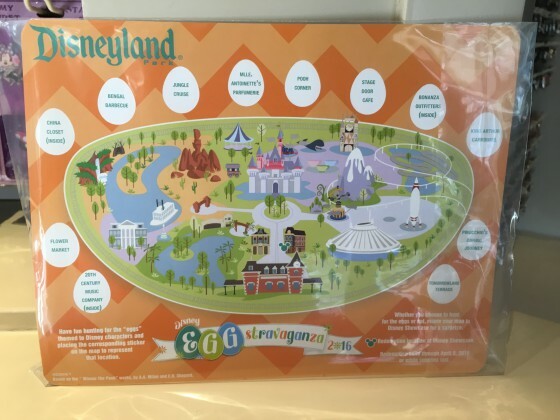 One thing that helped save time was that you could immediately redeem your map. This was also allowed in previous years, but it is definitely more encouraged by Cast Members this time around, especially if you buy your map at a redemption location. 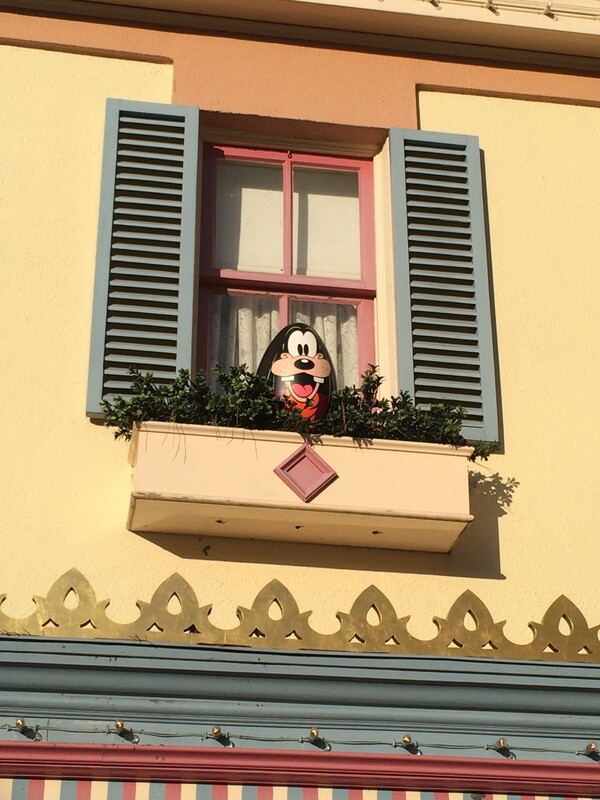 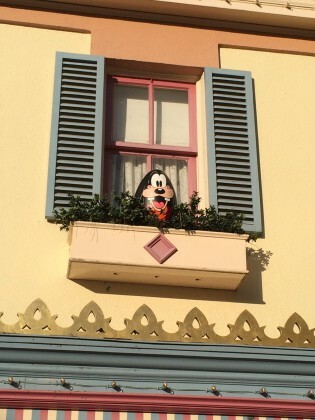 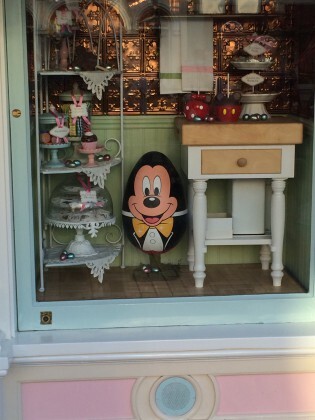 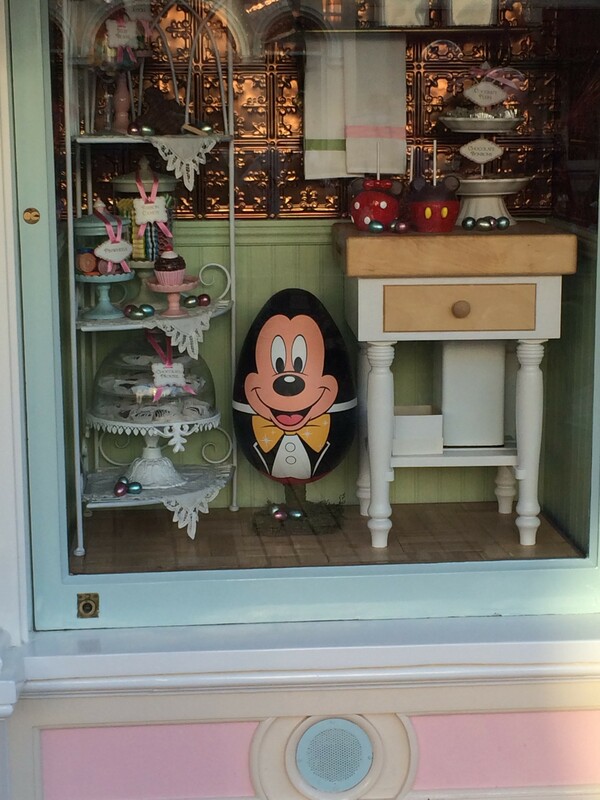 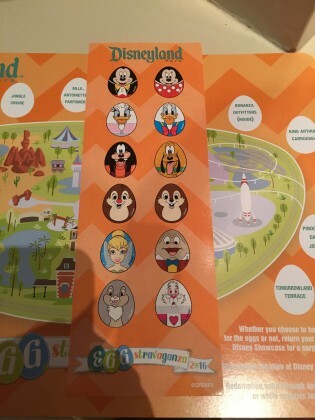 This year’s character eggs include Mickey Mouse, Minnie Mouse, Woody, Jessie, Cheshire Cat, and Stitch. 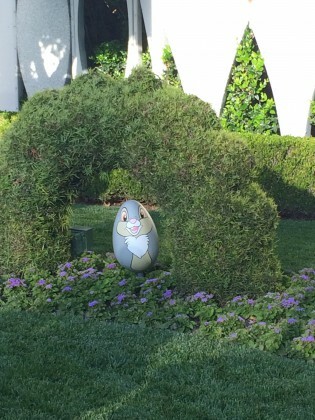 Now it’s spoiler alert time, so if you haven’t had a chance to do the Eggstravaganza, skip this part. 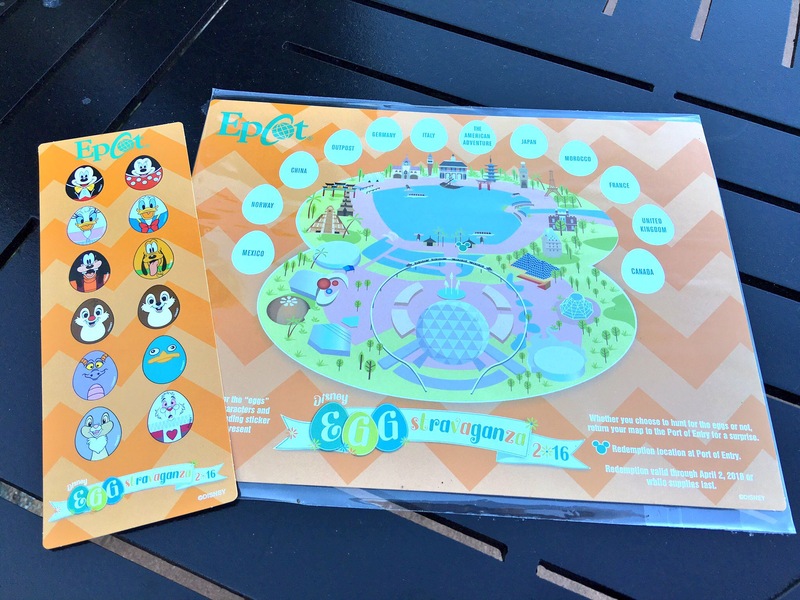 For those on the East Coast, the fun also is happening at Walt Disney World’s Epcot! 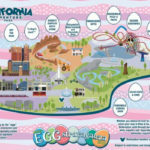 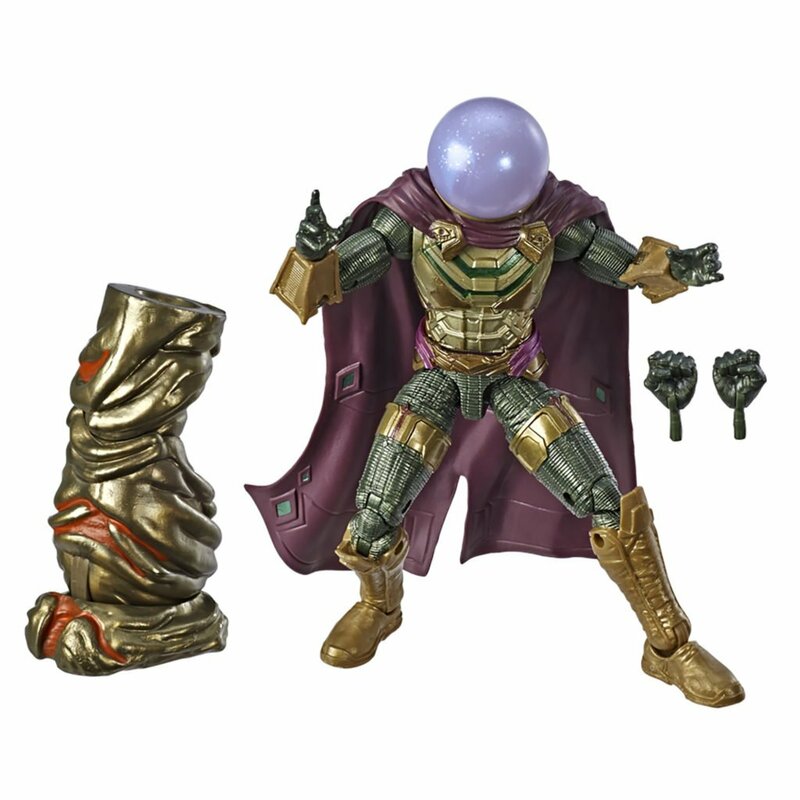 You still have time to participate in the Eggstravaganza! The fun continues through March 27, or while supplies last, so hop to it!